Grease isn’t a word that normally makes people think of nice things. Some of the things that would pop right in our minds as soon as we hear it are greasy food, greasy hair and greasy fingers. But grease isn’t such a bad thing. It can be surprisingly useful. In fact, there are many ways grease is being put to good use, like in automatic earthmoving grease lubrication systems, which not only keep earthmoving equipment in good condition, but also boost its efficiency. Whether it’s a bulldozer, an excavator or a backhoe loader, earthmoving equipment is usually considered a heavy-duty vehicle. Big and solid, some would think it’s virtually indestructible. Actually, just like any piece of equipment, it’s prone to wear and tear. It needs to be well-maintained to keep working properly and last as long as possible. That’s where automatic earthmoving grease lubrication systems come in. Designed to automatically deliver the right amount of the appropriate lubricant when and where it’s needed, they make sure your earthmoving equipment operates at optimum level and lasts for years. 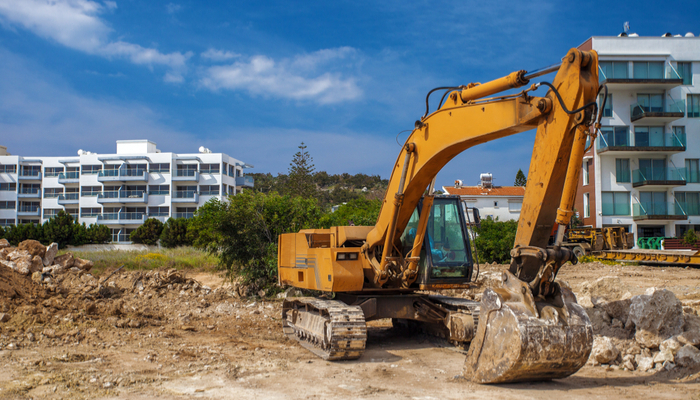 Read on to learn more about automatic grease lubrication systems, their benefits and tips to choose and use the best one for your earthmoving equipment. What Are Automatic Grease Lubrication Systems? Before learning all about automatic grease lubrication systems, you need to know that they aren’t the only automatic lubrication system type. Also called centralised lubrication systems, automatic lubrication systems are mechanical systems that deliver lubricant in controlled, usually small amounts over short, frequent intervals to multiple locations on a piece of equipment. Metering device. This part makes sure the lubricant doesn’t take the so-called path of least resistance, is pumped through the system’s points and reaches all the parts of the piece of equipment that need to be lubricated to function. Pump. This part makes sure the lubricant flows. Controller. This part manages the program that delivers the lubricant according to the programmed schedule. Tubing. This part is where the lubricant gets pumped through. Based on the lubricant they use, there are two types of automatic lubrication systems: automatic oil lubrication systems and automatic grease lubrication systems. Automatic oil lubrication systems are used for stationary manufacturing equipment, like milling machines. Automatic grease lubrication systems are used for mobile equipment, like earthmoving equipment. Unlike oil, grease used as lubricant provides protection from contamination ingress and can bear extended operation without needing any maintenance, making it great for lubricating earthmoving equipment through automatic earthmoving grease lubrication systems. When applied in small amounts and at regular intervals, grease creates a sort of collar around pivot points that keeps contaminants, like dirt and water, out—even during high-pressure cleaning. The better you keep your earthmoving equipment’s parts contaminant-free, the better the piece of equipment itself will work. While oil flows more than grease, grease can spread out better across the surface of the piece of equipment’s parts to be lubricated because it’s applied while they move. Able to reach them all, the grease used in the automatic grease lubrication system you choose guarantees they get lubricated. Equipment sustains the most wear and tear during use. That’s because its parts move and rub against one another, generating friction. Since it lubricates while that happens, your automatic grease lubrication system keeps your earthmoving equipment from enduring excess wear and tear. The less you have to worry about failures or breakdowns, the more efficiently you can work. Since your automatic grease lubrication system protects your earthmoving equipment from severe wear and tear, you don’t have to spend so much time on maintenance and repairs. Able to keep it in such good condition, you can look forward to your earthmoving equipment lasting for many years. Certain conditions have an affect on the effectiveness of certain types of grease lubricants. For example, if there’s a lot of moisture and you unintentionally use a grease lubricant with a low water tolerance, your earthmoving equipment could rust. Avoid having disastrous problems by choosing an automatic lubrication system that uses the type of grease lubricant suitable to your earthmoving equipment’s working environment. A grease lubricant’s NLGI grade indicates how stiff it is. For example, a grease lubricant with a NLGI #1 grade isn’t very stiff, which makes it suitable for use in cold weather as it won’t seize up. Automatic lubrication systems generally use small lines, so consider getting one that uses a grease lubricant with a NLGI #0 or NLGI #00 grade to avoid undue pressure buildup in the lines that can cause them to break. The size and type of joints you use can either assist or prevent your automatic lubrication system from functioning properly. So there aren’t any compatibility issues, consider using large pin-and-bushing joints. If not enough grease gets to your earthmoving equipment’s parts, they will grind against one another, generate too much friction and break. If there’s too much grease, the protective seals will rupture, leading to contamination ingress. Aside from making sure all the critical joints and bearings are lubricated, you need to inspect your automatic lubrication system frequently to prevent problems like contamination, blockages and soap residue buildup.